Expert predictions of the growing trends in global activity in terrorism, crisis response and the affects of cyber attacks appear to be coming true. They all continue to point to ongoing events as evidence that adversarial intentions and malicious behavior will cause turmoil and disruption to normal business operations around the world. As morose as it seems, it is not all gloom and doom, though. Technology advancements in robotics, communications interoperability, broadband capabilities, analytical tools, and cybersecurity continues its pace of rapidly enhancing and improving quality of life for most of us. It has become apparent that those that adopt these new technologies will clearly have a competitive edge over organizations that delay integration. They are given “cute” names, such as Fancy Bear, WannaCry, and Nemisis. However, there is nothing cute about them. Cyber attacks are on the rise. All one needs to do is turn on the news on any given evening, and they will get an earful of information about phishing attacks, Russians target of election officials, and North Korean cyber attacks on global communities. Common knowledge about these dangers is growing, as people are starting to pay attention. It has become obvious that no individual user on the World Wide Web is safe from exploitation and attack. There is something that can be done about it, though: Prepare. Educate. Be aware. Members of the WWW community must take precautions to safeguard and isolate their most critical data. Businesses of all sizes are warned to develop and implement Cyber Risk Management programs in their workplace. And all who use the internet must remain aware of their surroundings. For more information &amp to visit our Cyber Risk Management page, Click Here. 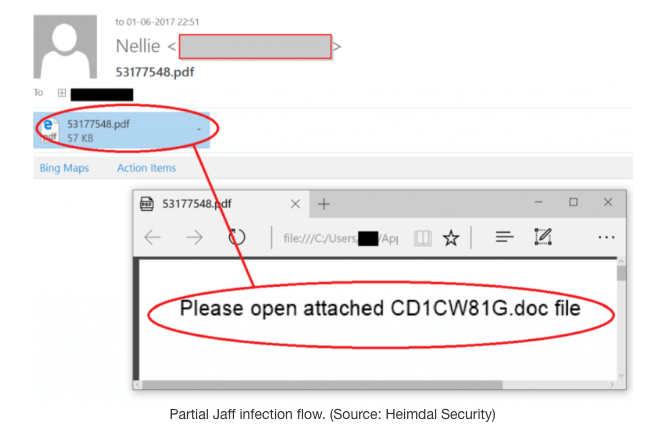 Cyber Mine: Cyber Threat Analyst have discovered a new malware delivery method that uses a PowerPoint file embedded in an email as its vector. The email body directs the reader to “see the attached file”. When the email recipient hovers the mouse cursor over the attached file icon, BOOM, the file is activated (no click necessary), and as the malware initiates the reader will get a notice, “Loading…Please Wait”, displayed on their screen. What can you do to ensure you are protected by cyber minefields? Click Here to read more. JAFF Update: During the WANNACRY attack in May 2017 we reported on the surge of another Ransomware attack, JAFF. Like its partner in crime, JAFF seizes its victim’s computer or data storage and demands a ransom to be paid for the encryption key that allows the victim to unlock the data. No harm, no foul, right? Wong! The stolen treasures are exposed to Dark Web marketplaces for sale. For more information Click Here. A bombing in Manchester, a gunman attack in a casino in the Philippines, and deadly attack on the London Bridge. Repeatedly we are provided examples for the requirement of integrated communications. Gruesome as the real life examples may be, we see in the nightly news how first responder organizations with sophisticated and comprehensive support systems are able to react immediately with aide to those urgent situations that come with virtually no warning. After an event has begun with a tragic incident the response systems go into high gear, as operators and emergency responders begin to coordinate and share information. Because we can never know when and where the incidents occur we must be ready to react, we must be able to communicate, and we must collect and share data in real-time. Lives are at stake. 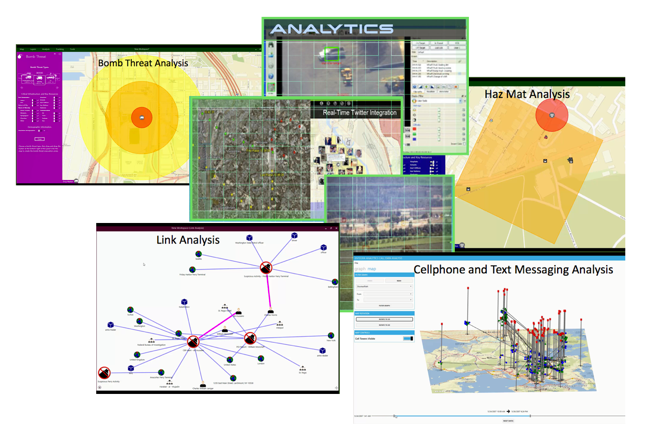 A comprehensive system-of-system allows multiple agencies to coordinate over emergency communications channels using any platform. Imagery, video, and voice data is collected and analyzed as the collection occurs. No time to wait! Authorities must be able to process information from several sources immediately to be able to make life-saving decisions. What organizations require this capability? The easy answer is Homeland Security, National Defense and First Responders from Federal, State, Local, Tribal, and Territorial Organizations. The complete answer would include Vacation Resorts, Schools, Universities, Subway Systems, Shopping Malls, and Sports Complexes. Surprised? I bet you are not! In today´s digitized world we are dealing with data volumes that are measured in yottabytes (1,000,000,000,000,000,000,000,000 bytes). Just one minute of Internet data flow accounts for 640 terabytes on any given moment. 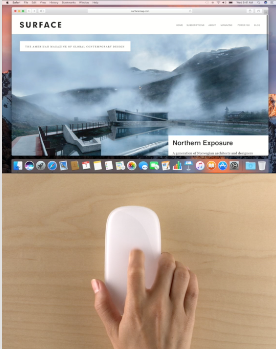 This makes an incredibly large amount of information available to connected users. While it is a great thing, it also poses a large-scale problem for users who must sort through the mounds of data, identify the most relevant, and provide decision makers in upper management with actionable information, which most times is time sensitive and perishable. Click here for more. Drones are no longer a thing of Sci-Fi movies. They are becoming part of our skylines, and they are here to stay. 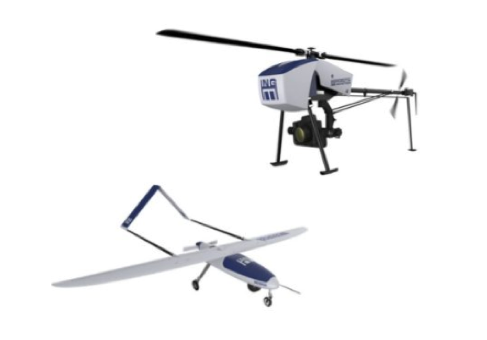 From military operations, first responder support, agricultural applications, filmmaking, to border security we are seeing these unmanned vehicles taking center stage. Manufacturers are making these tools, once limited to military applications, more accessible… Click Here for more information.